Following a year of research into the economic status of women in Pierce County, and a published Status Report, GTCF continued its development of the Fund for Women and Girl’s Women’s Economic Initiative through two workshops in 2017. Nonprofits, businesses, service providers, agencies, researchers, and civic leaders came together to learn, share knowledge, explore themes, and to identify action steps the community could take to improve women’s economic outcomes. Participants shared a range of factors that impact a woman’s ability to access better economic opportunities, from Child Care to Gender Bias, Self-Esteem to Tradeoffs Between Job and Raising Children. Participants also mapped the many organizations serving women’s needs in Pierce County. The results of those exercises offered a revealing insight into Pierce County services for women. As a woman moves from a crisis situation to stability, she is no longer eligible for public supports like housing assistance or child care assistance or food stamps. She may also lose access to informal supports based on the Federal Poverty Index. At the same time, she may not be earning enough to reach self-sufficiency. According to the University of Washington Self-Sufficiency Standard, a single earner with 2 preschoolers needs to earn $29.41 an hour in Pierce County to afford a self-sufficient budget. This minimum-needs budget wouldn’t include phone service, internet service, dining out, or any non-essential travel. This gap between social support and financial self-sufficiency might be thought of as Benefit Cliff. This is the focus of the Women’s Economic Opportunity Initiative. GTCF is exploring four fields of action to address the Benefit Cliff: wraparound services, leadership development, policy change, and collaboration. Connections are now being made with Pierce County organizations who can lead further conversations and planning in 2018 to improve economic opportunities for female heads of household on the brink of financial security. These two workshops identified the need for more services in Pierce County to support women on their path to financial self-sufficiency. Additionally, the workshops showed how critical it is for the community to work in collaboration for solutions. 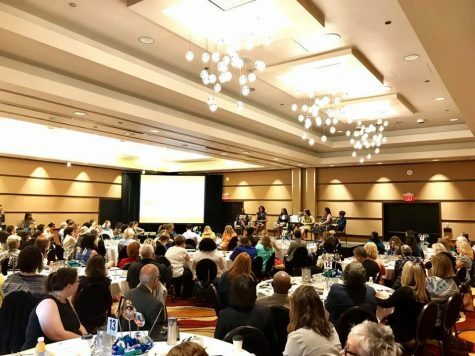 On Tuesday, July 11, 2017, more than 100 leaders from nonprofit, business, academic, civic, and service organizations gathered at Hotel Murano to learn from real-life stories and field experts sharing data about the need for better economic opportunities and equity for women. 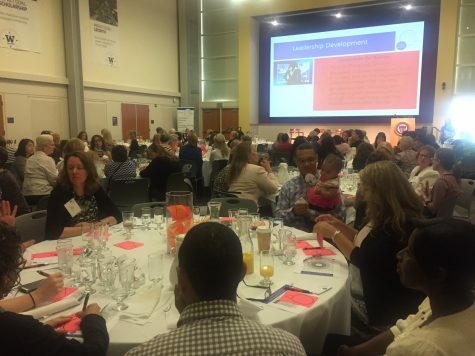 On Wednesday, August 16, more than 100 leaders from nonprofit, business, academic, civic, and service organizations gathered at UW-T Philip Hall to brainstorm action steps that could improve economic opportunities for women on the brink of self-sufficiency. Read a blog post from the Vision Sponsor for the Women’s Economic Opportunity Workshops, Key Bank, “Never Stop Looking for Answers”.